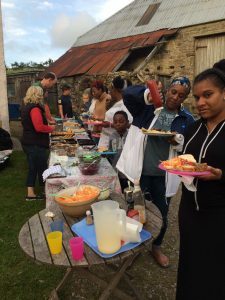 A big group of young people and adults came to the farm to enjoy a holiday away from the city. It was a very happy time with dry weather, good food and excellent company. We were blessed with 23 different volunteers coming to help to make this event happen. 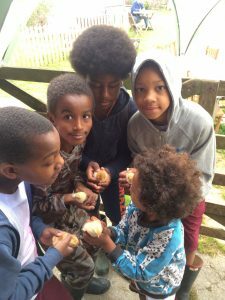 They put up tents, washed up, played games, made cards, scrubbed the barn and cleaned toilets. Impossible without them so thank you to them all. “I have not slept so much for years – it has made huge difference to my whole digestive system”!